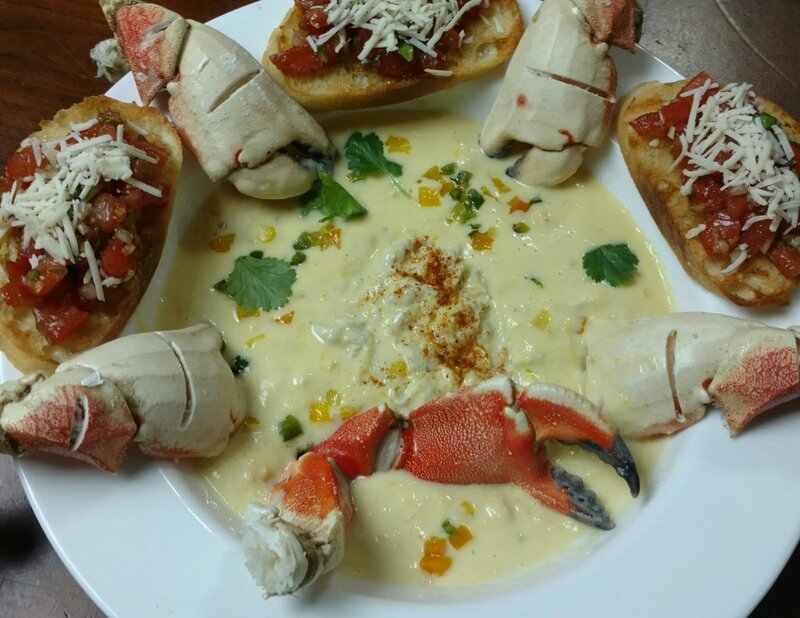 Crab and Corn Chowder served with Jonah's crab claws and Bruschetta. It was a bit cold today when we went to town and I left my jacket at home. Wanted a soup type meal. I totally winged this one but it came out fantastic. Mrs skreef who's not really fond of crab chowed it down and raved about it. I didn't take pictures along the way since I wasn't going to post it, but it came out so good I snapped a money shot. Looks like a satisfying bowl of soup. Not the best picture. It actually tasted way better than it looked. Even Mrs skreef who doesn't really like crab raged about it. Definitely going to do this again.